Emmanuel Chilanga (MA student, geography, Western University). Emmanuel is examining whether the participatory community-based nutrition approach that SFHC uses has an impact on household decision-making and gender roles with regards to child care and feeding pracatices. He will be conducting interviews pre and post recipe days to try to understand how people are perceiving and responding to these nutrition educational practices. Emmanuel is from Malawi, and is supported with a grant from the McKnight Foundation, Collaborative Crop Research Program. Nicole Renaud (PhD student in Geography, Western University). Nicole’s Masters research took place in Peru, examining small-scale irrigation projects with smallholder farmers. Nicole will be assessing the effectiveness of farmer-to-farmer exchanges and community institutions in fostering adaptive responses to climate change using in-depth interviews. She will also be conducting participatory action research using video as a medium to explore adaptation strategies for addressing climate change, health, and food security in conjunction with participating farmers. She will travel to Malawi the summer of 2012 to conduct this field work. Alex Smith ( PhD student in Crop and Soil sciences, Michigan State University) Alex is using participatory methods to explore insect pest issues and ecological pest management strategies with smallholder farmers. He will travel to Malawi the summer of 2012 to conduct an integrated pest management workshop and learn more about the pest problems that farmers are experiencing. Alex’s supervisor is Dr. Sieglinde Snapp, one of SFHC’s collaborating researchers. Mary Ollenberger (MSc student, soil science, Michigan State University) Mary is doing her research on climate change modelling, and will be applying an agricultural simulation model using Malawi climate data to explore aspects of sustainable intensification with legumes, specifically focusing on the impacts of climate variability and climate change, and the relationship between climate and the ecosystem services provided by legumes, including grain yield, soil fertility benefits, and food security. Mary’s supervisor is Dr. Sieglinde Snapp. She visited Ekwendeni in July 2011 for a preliminary visit and hopes to return in 2012. Mary Parr (PhD student in soil science, North Carolina State University) Mary will be conducting research with Ekwendeni SFHC farmers on soyabeans, trying to determine what is leading to poor nitrogen fixation and growth in the Ekwendeni region. 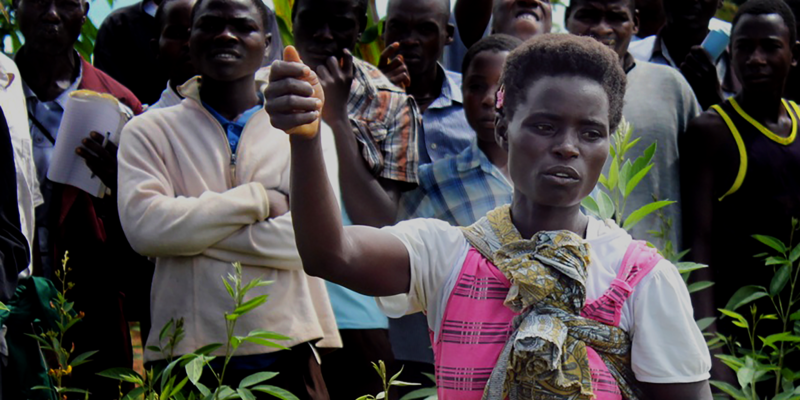 She spent several months in Malawi as of September 2011, and is funded in part through the support of the McKnight Foundation’s Collaborative Crop Research Program. Mary’s supervisor is Dr. Julie Grossman. Lauren Classen (PhD student in anthropology, University of Toronto) Lauren did her fieldwork in collaboration with SFHC and the AIDS program of Ekwendeni Hospital, to engage youth in the catchment area in developing a framework for improving livelihoods and safeguarding the health of young people and their families. Drawing on 4 years of experience with participatory agriculture research project in north-central Honduras, Lauren’s research combines a variety of participatory and visual anthropological research approaches to explore ‘youth culture’ in northern Malawi and to understand how young people engage with, resist and shape the factors which affect their nutrition and health. Lauren is writing up her thesis results back in Toronto as of 2010. Since 2001 SFHC hosted interns through the Canadian Society for International Health’s (CSIH)Youth Internship Program, funded by the Canadian International Development Agency’s (CIDA) Young Professionals Placement Program, and designed to help young Canadian graduates to obtain professional experience working abroad. Our past interns lived in Ekwendeni and worked with SFHC staff for four to eight months. Placements were designed to provide interns with cross-cultural communication, leadership, and technical skills in areas such as program planning, evaluation, research, and data analysis. The interns have played an important role in research and community development activities and are greatly appreciated by SFHC.